A. Well it depends on who you ask or what you read! This is not meant to be a frivolous answer because there is a strong element of truth in the statement. Down through the centuries there are many definitions and many interpretations of the area known as Calry. The one consistent piece of information is the origin of the name. 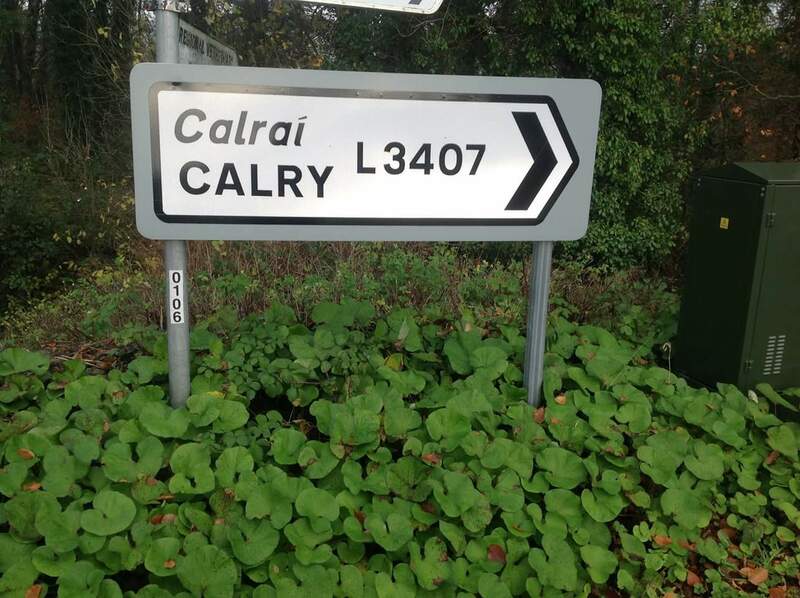 Calry is derived from the old gaelic name Calraidhe, composed of Cal – a man’s name, and raidhe – descendants. The term Calry reflects the descendants of Cal, who was grand-uncle of Maccon. There were several places of the name in Ireland, as Calry- an-Chala in Westmeath ; Calry-Moy-Heleog in Mayo ; and the county Sligo Calry. 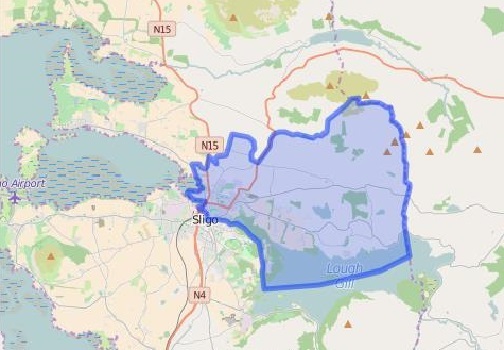 The name, when applied to the Sligo district, was qualified with additions at different times ; being called in the Book of Armagh, Calry-Tremaige ; in the Topographical poem of Giolla losa Mor Mac Firbis, Calry Laithim ; and, in the Four Masters, Calry, Lough Gill, at one time, and Calry Drumcliff at another. O’Rorke also quotes another source that links Saint Patrick with Calry and shows Calry covering an area in Leitrim that included Dromahair and presumably part of the parish of Drumlease. Reversus est denuo Patricius ad jam memoratam Calrigice, regionem, et in loco, tune Druimdaire vocato, baptizavit Mac-caerthanum, et in eo excitavit Monasterium Drumlias. Patrick came back again to the aforesaid region of Calry, and, in a spot then called Drumdare, he baptized Maccarthan, and erected the monastery of Drumlias. [Colgan. Trias Thaumaturga, p. 143]. According to the County Sligo Survey of 1633, the parish of Calry was at that time called Callgach – which seems to have evolved into Colgagh a townland located in the centre of the parish and hosting the Roman Catholic chapel, St Patrick’s Church. A more precise definition of present day Calry is found in Lewis’s A Topographical Dictionary of Ireland, 1837. CALRY, or COLRY, a parish, in the barony of UPPER CARBERY, county of SLIGO, and province of CONNAUGHT; containing, with a part of the borough and sea-port town of Sligo, 6247 inhabitants, of which number 3741 are within the borough of Sligo. This parish is situated on the river Garvogue, which separates it from the parish of St. John, in its course from Lough Gill to the sea, and on the roads from Ballyshannon and Enniskillen to Sligo. It contains 4383 statute acres, as applotted under the tithe act: the land is generally light, with a small quantity of bog and some mountain wastes, and is principally under tillage; the state of agriculture is improving; there is an abundance of limestone, which is used for building. The manufacture of linen was formerly carried on extensively, but few are now employed in it. Lough Gill, part of which is in the parish, is an extensive and beautiful sheet of water, about a mile and a half from Sligo, with which it is connected by the river Garvogue, that is navigable for large boats seven or eight miles. This definition gives more context. Calry is a parish in a barony within a county. In Ireland, counties are divided into baronies, which are equivalent to the hundreds in England and seem to have formed out of the territories of the Irish chiefs, as each submitted to English rule. County Sligo has 6 baronies: Carbury, Leyny, Coolavin, Corran, Tirerrill and Tireragh. Carbury is comprised of 7 parishes: Ahamlish, Rossinver, Drumcliff, Calry, St John’s, Kilmacowen and Killaspugbrone. 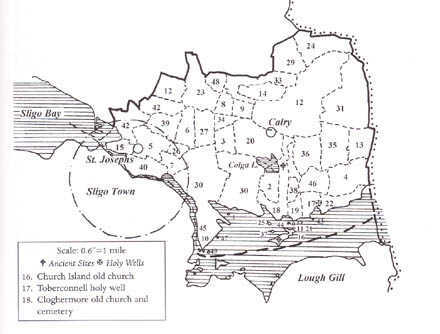 In the strictest sense, the parish of Calry consists of 48 townlands as shown on the map. In effect, Calry is quite a large area embracing lands to the north of the Garavogue River, as far west as the Bundoran Road, north to the Cashelgal (Dartry) mountains, east to the County Leitrim border and extending halfway into Lough Gill on the southern side. Calry is at least equal in beauty to any of the other environs of Sligo. Coologeoboy and Cashelgal mountains in the background ; Lough Gill full in front ; the whole space between the mountains and the lake parted into green sward, cultivated fields, and wooded tracts, varied with the little lakes of Colgach and Lougheneltin ; the fine mansions of Hazelwood, Cloghereva, and Holywell; the handsome residences of Ballyglass and Rosslare ; the neat gate lodges and labourers’ cottages of Mr. Wynne ; and the several comfortable farm-houses which stand out in prominent and picturesque positions over the district; with all these advantages, Calry lacks hardly a single element of the beautiful and the striking in landscape scenery. The ground slopes all the way from the mountains to Lough Gill, the gradients, however, increasing sharply as you near the mountain, so that within a mile or so of the base, the roads are in places so steep and abrupt, as to make it no easy matter for vehicles to ascend or descend. For the purpose of presenting information on this website, a more liberal view of the expanse of the Calry area will be adopted given that families, land holdings, social activities, and natural resources are not constrained by administrative boundaries. The scope of the information coverage will include Calry and its surroundings.